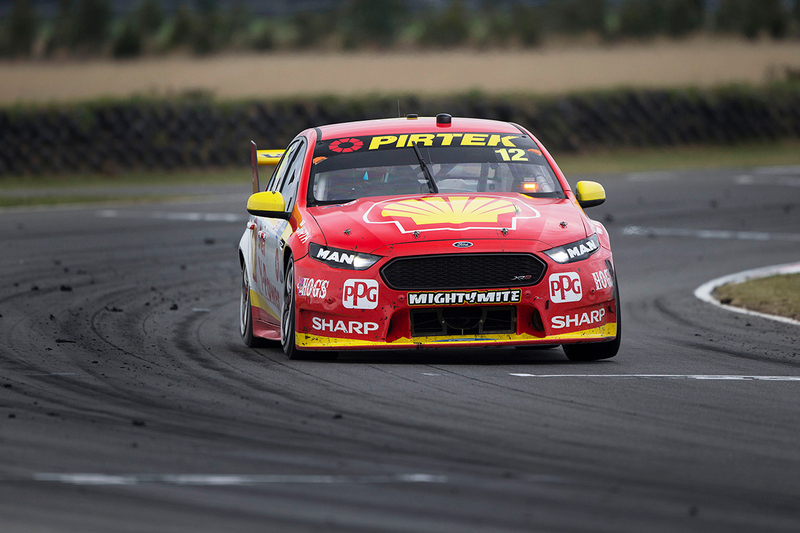 Shell V-Power Racing’s Fabian Coulthard knew he had what was ultimately a wheel-nut failure after his first pitstop in the second leg of the Tyrepower Tasmania SuperSprint. Coulthard ran sixth throughout the first phase and was in the same position on lap 44 when his left-rear wheel-nut parted company with the Falcon coming through Turn 3. He completed a slow tour of the circuit, the wheel staying attached but bodywork sawing the tyre down to the carcass, and ultimately finished a lap down in 17th. The Kiwi radioed his pitcrew immediately after making his first stop on lap 26 to say something was awry with the rear of his Shell Ford. Scheduled to make his second stop at the end of lap 44, Coulthard had nearly made it through the stint by the time the nut parted company with the hub. “We had good speed, good enough for the top four or five. The boys always work really hard, but it was just one of those days where things didn’t go as planned. “Straight after the pitstop I could feel something wrong, asking Mark [Fenning, engineer] to check a few things for me and give me some reassurance. “A couple of laps later the wheel-nut is bouncing down the track, and there’s three wheels on the wagon. The nut was recovered and - along with relevant components of the Falcon - examined by Supercars’ Sporting and Technical Director David Stuart. 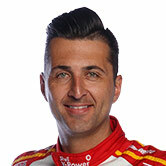 Deputy Race Director Michael Masi assessed the incident but opted against taking further action. 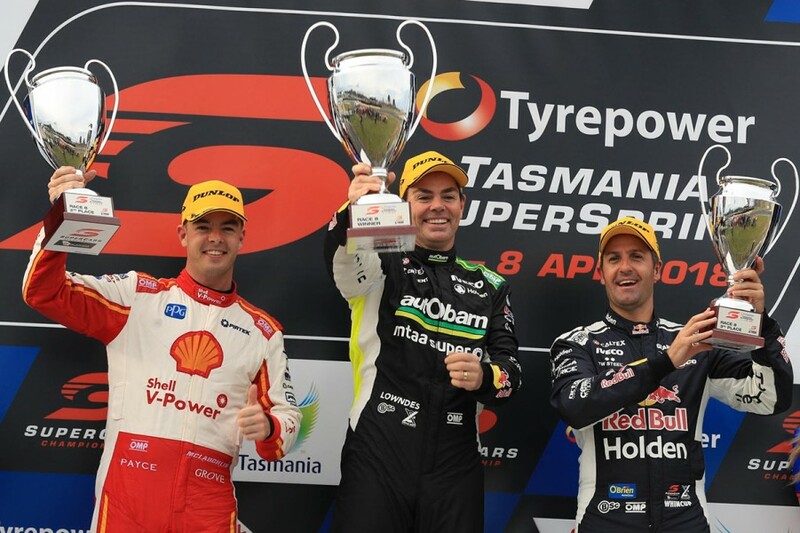 Coulthard’s team-mate Scott McLaughlin finished second, splitting the Triple Eight Commodores of Craig Lowndes and Saturday winner Jamie Whincup. From fourth on the grid, a shorter fill at the first stop bought McLaughlin track position to become the effective leader briefly, and an undercut almost negated the impact of his longer second stop. 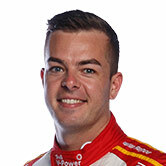 McLaughlin was two seconds behind Lowndes when he came in on lap 47, two laps before Lowndes and Whincup - five seconds behind his stablemate - stopped together. Approaching Turn 2 when the Commodores were exiting pitlane, McLaughlin managed to get past Whincup on warm tyres through Turn 3, and maintained second. The threat of rain beyond the brief drops inside the last 20 laps shaped his strategy. “I had a feeling weather was going to come into it and I think everyone was a little worried whether the rain was going to come,” McLaughlin said. “So we came in a little bit earlier than we needed to, I guess to put some pressure on the guys next to us [on the podium]. “Everyone reacted to us, in case the weather did come, but it wasn’t as much as we thought. 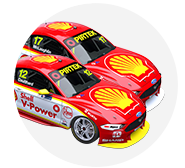 McLaughlin leaves the weekend second in the points, level with David Reynolds and 11 behind Jamie Whincup, with Coulthard 11th after three events.